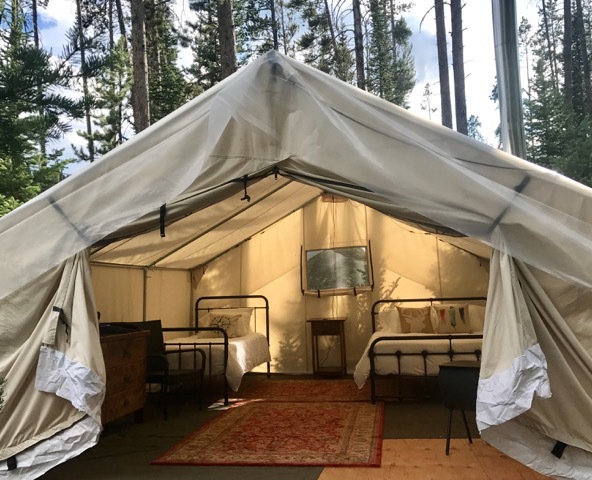 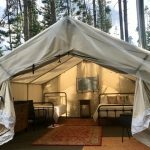 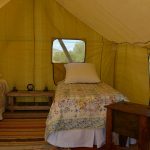 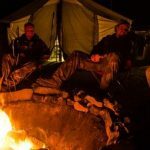 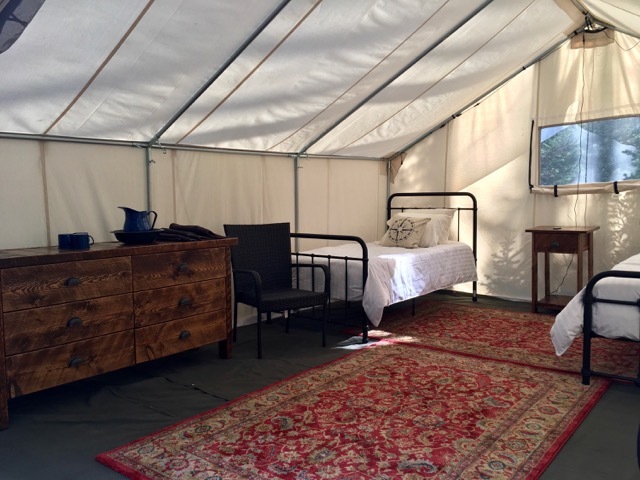 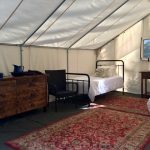 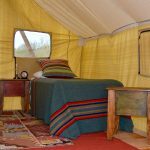 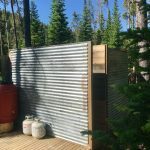 While some luxury camping or glamping operations may place tents too closely together in open fields, we at Glamping of Jackson Hole provide placement in the Bridger-Teton National Forest that will allow you privacy, yet still a communal feel. 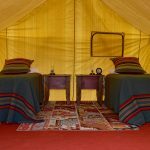 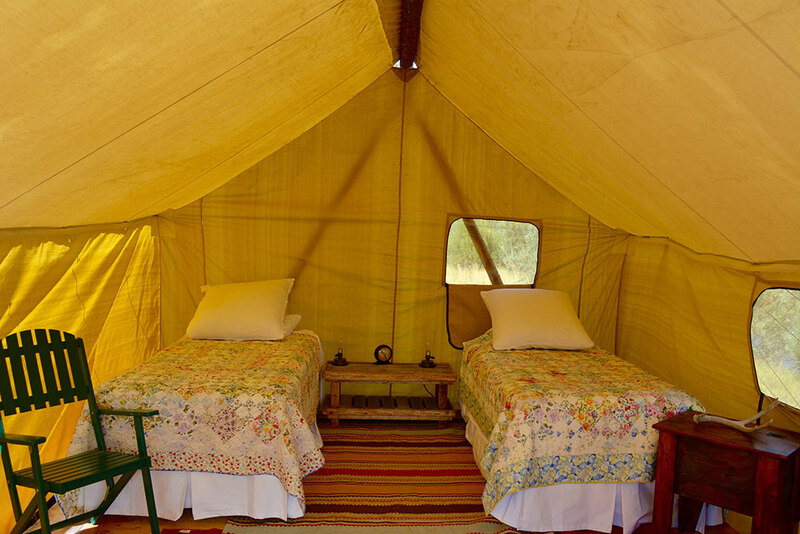 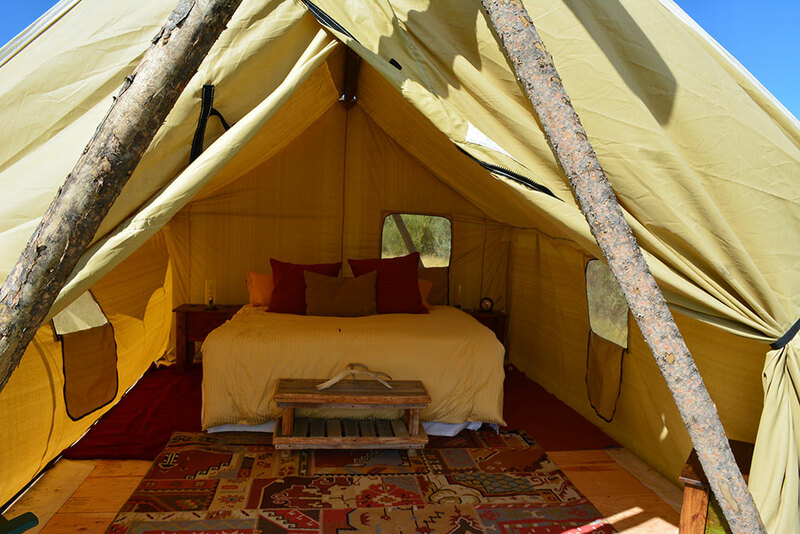 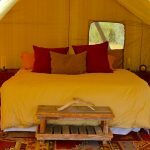 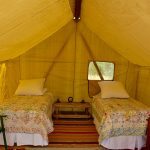 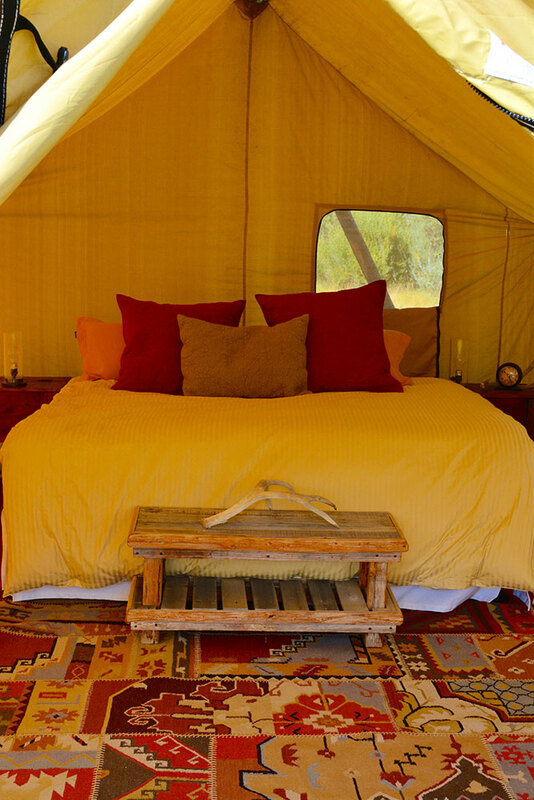 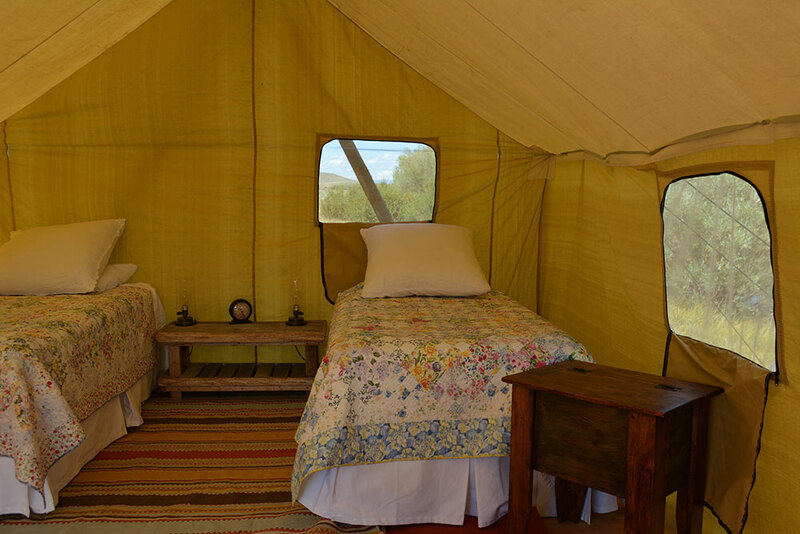 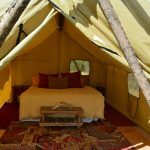 Our lifted 6 African Safari-Style tents are complete with memory foam beds, real furnishings and bedding, and solar lighting. 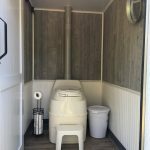 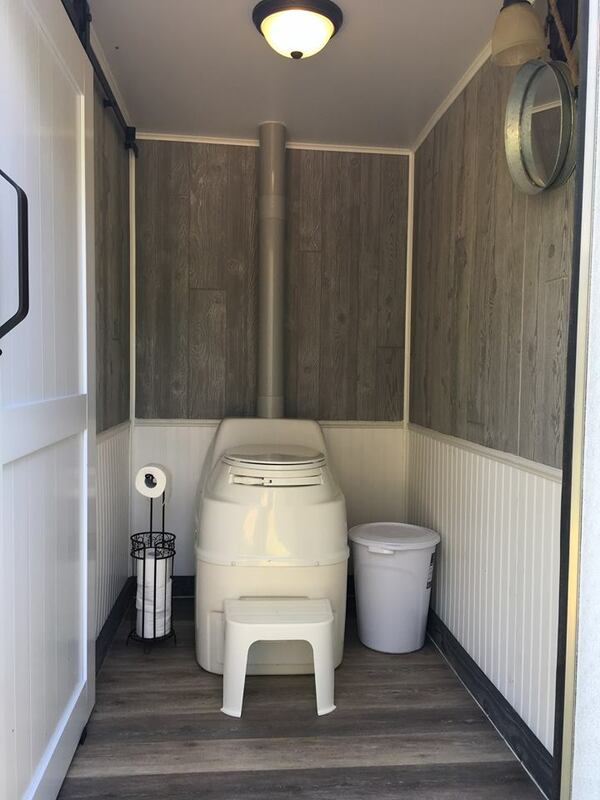 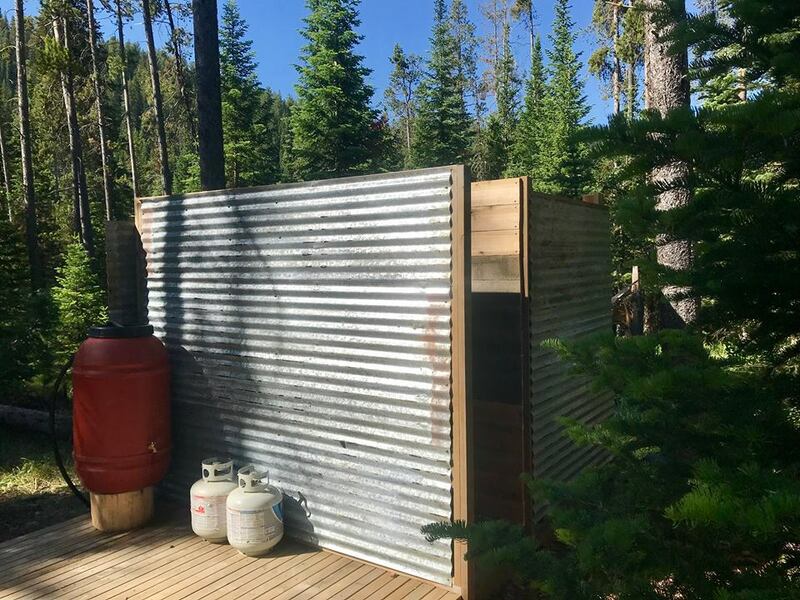 You will also have access to our custom designed bathroom facilities that include heated showers and composting toilets, as well as access to electricity. 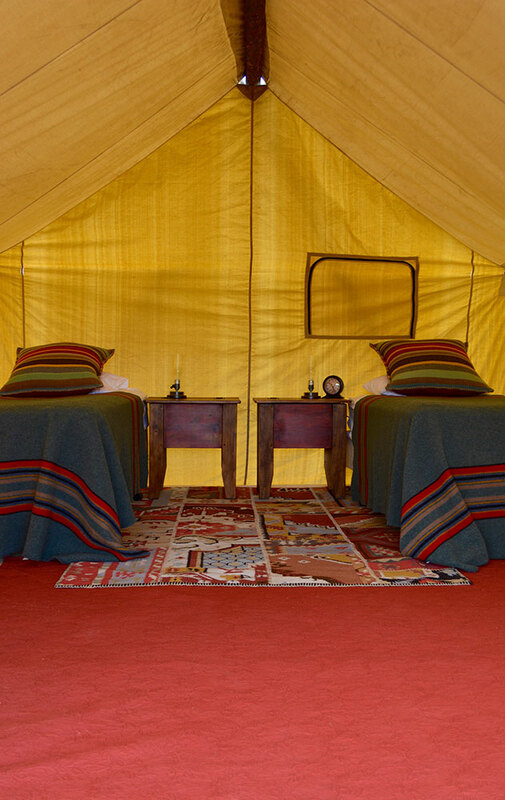 Drawing from the agricultural wealth of Wyoming and the West, the Chef at Glamping of Jackson Hole creates refined rustic ranch cuisine that blends the most sophisticated culinary techniques with the freshest meats, produce and ingredients available. 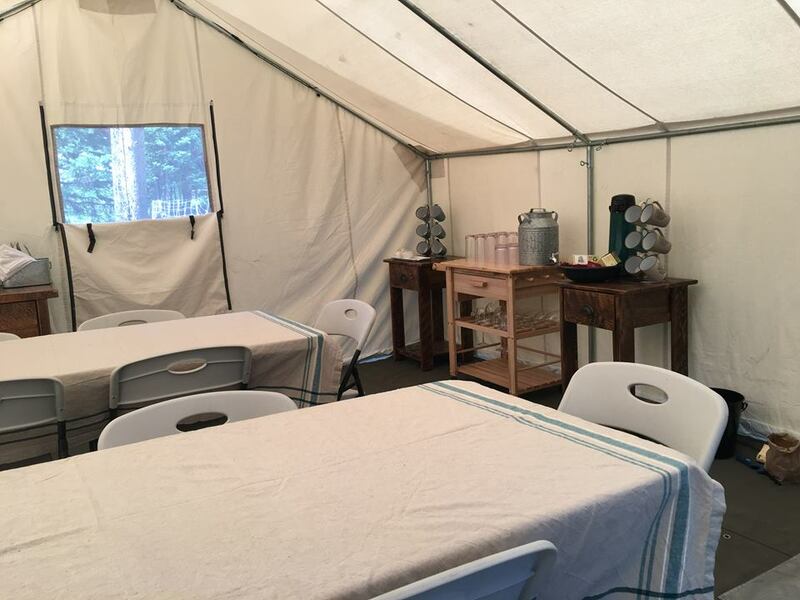 All meals will be served in our dining tent with views of the Snake River Range as your backdrop. 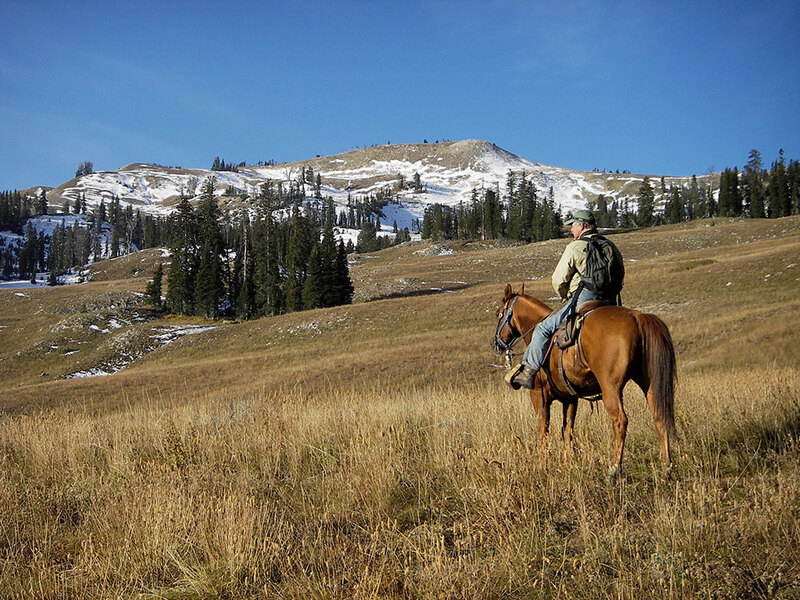 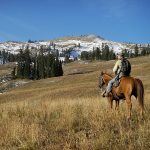 Special trailside lunches will be provided if out on horseback or involved in other activities. 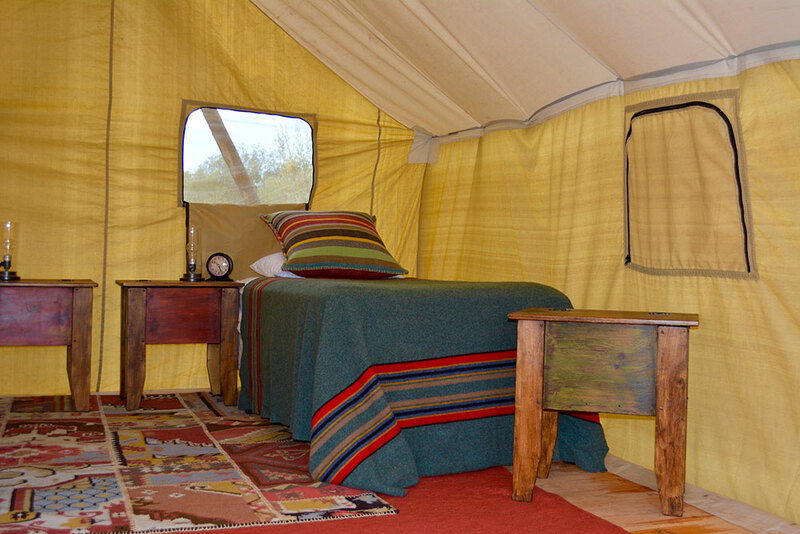 At Glamping of Jackson Hole we feel that great food is a key part of your high quality experience. 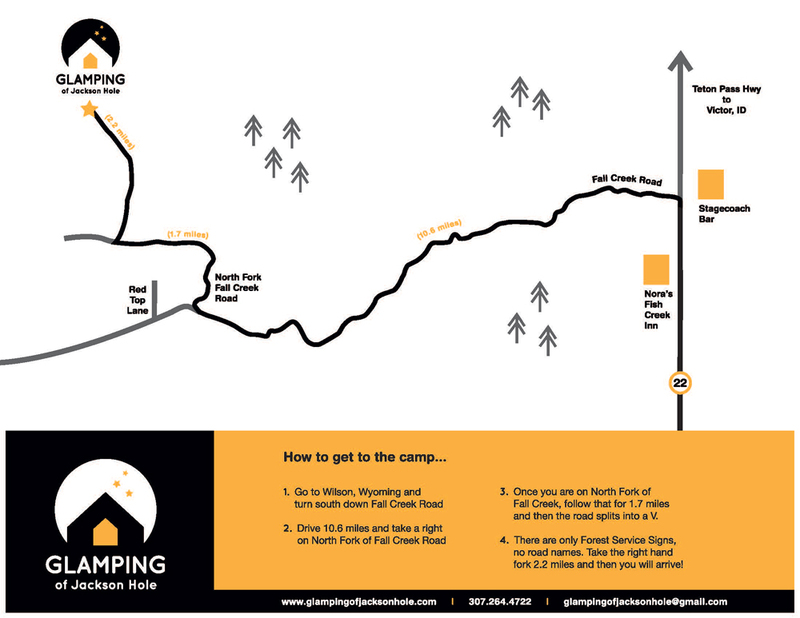 No shortcuts here!